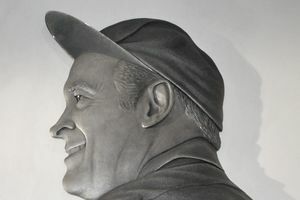 The world will remember Bob Hope for the pure enjoyment he gave us during his long years in the entertainment industry, for his love of golf and the work he did to promote that sport, and for his dedication to lifting the spirits of our US armed forces. But did you know he was a very successful real estate investor? In fact, at one point in his career, he may have been one of the biggest landholders in the state of California. Bob began buying California real estate early in his career, focusing on land purchases. He was even known as "Mr. Real Estate," because he owned so much land. Funds from oil well investments that performed well made it possible to add even more land tracts to his portfolio. His buddy, Bing Crosby, used oil investments to purchase California real estate, too. Smart guys--we all know what those properties are selling for today! So just how much was Leslie Townes Hope worth? Many of the estimates being kicked around are based on a Time magazine story from 1967 that said the comedian owned “8,000 acres in Palm Springs, 4,000 to 5,000 acres near Phoenix, more than 7,500 acres in Malibu,” and more. Hope was thought to have enough land to make a principality nearly 50 times the size of Monaco, with just as fine a climate. By the mid-1980s Mr. Hope, then in his 80s, was already tidying up his estate and liquidating much of his property in an orderly manner. Forbes ultimately estimated his remaining land holdings to be worth just $85 million. Hope bought a great deal of land during the 1960s and 1970s but did not hold onto most of it for very long. He gave some tracts of land to conservancy groups, but most land disposed of was sold. He was an aggressive owner who was prepared to fight for his rights and property values when a local community tried to acquire a portion of his land through condemnation proceedings. Bob and Dolores Hope bought their Toluca Lake, California, home in 1940. When Dolores died at the age of 102, the house went on the market.